City centre - 4.400 Km. Nearest Bus / Metro Stop - 34.000 Km. Golf course - 6.759 Km. A haven of adventure and discovery, guests staying at this hotel can enjoy the immediate surroundings of this activity-laden area. 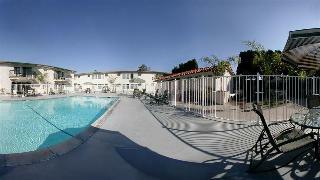 Guests can walk to Knott's Berry Farm, or Knott's Soak City where fun and adventure awaits. Guests are given the opportunity to travel back in time with a trip to the Medieval Times Dinner and Tournament, or visit the iconic Huntington beach or attend a conference at the Anaheim Convention Centre. 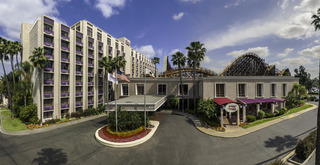 Children and fun-loving adults will enjoy this hotel's close proximity to the world-renowned Disneyland. 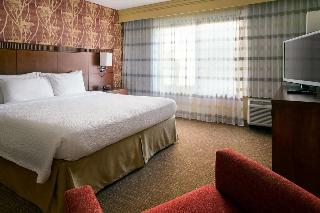 The hotel guest rooms provide ample space and high-quality conveniences for guests to enjoy. This hotel provides a worry-free location for guests to enjoy.